In a year where the word “crisis” was heard way too often FairMail’s teenage photographers in Peru en India proved that with creativity, hard work and having something unique to offer there are still big opportunities. For the fifth year in a row they managed to set a record regarding their earnings from their photography over the year. In 2011 the teenagers earned a total of 25.794 euro for their personal education-, housing- and medical funds! This way bringing their total earnings since the start of FairMail in 2006 to 74.594 euro. 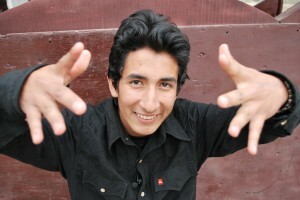 The big earner in 2011 in Peru was 19 year old Elmer with a total of more then 10.000 soles (almost 3.000 euro), bringing his total career earnings to 7.654 euro. With this money Elmer is starting his 5 year career in communication sciences at the private UPAO university in Trujillo this March. In January the FairMail Peru team passed the 200.000 soles mark in overall earnings for the first time (almost 60.000 euro). The big earner in India is 15 year old Sandhya with more then 100.000 rupees (just over 1.600 euro), bringing her career total to 2.027 euro since she started taking pictures for the first time in Febuary 2009. 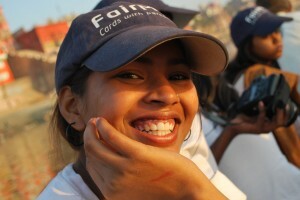 Sandhya is still in secondary school and saving up for her career to become a doctor. In January the FairMail India team passed the 1.000.000 rupees mark in overaal earnings for the first time (almost 16.000 euro). On behalf of all the teenagers, volunteers and coordinators at FairMail we would like to give a HUGE THANK YOU to all the FairMail customers over the world to help us make these great results possible!